On the occasion of her 80-th birthday. In 1973, after graduation from University of Messina, Maria Teresa Calapso became a Lecturer, and subsequently in 1975 she became Professor of Geometry at this university. Since 1979 she is the Director of the Mathematics Seminar at the University of Messina. She is also the Director of the Mathematics Institute of the Faculty of Economics at University of Messina and has served in this position since the creation of this institute. 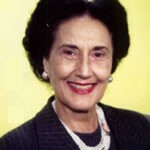 Maria Teresa Calapso has authored and co-authored more than 50 papers. In her research she followed some of the lines of research of her grandfather Pasquale Calapso and father Renato Calapso (conformal geometry, classic differential geometry, non-Euclidean geometry, differential geometry of N-dimensional manifolds, etc.). In the 1970s Roşca’s work influenced her research, and she collaborated with Roşca on many papers since that time. We indicate some results of M. T. Calapso related to the works of hergrandfather P. Calapso and her father R. Calapso. M. T. Calapso continued the study of non-Euclidean geometry initiated by her grandfather P. Calapso and her father R. Calapso. In particular, M. T. Calapso considered the Poincaré conformal representation of a hyperbolic plane on the Cartesian half-plane and showed how to obtain all properties of the plane hyperbolic geometry using only notions of the Euclidean geometry and the traditional analytic geometry. She found the formula for the distance between a point and a line, the latter being mapped into a semi-circle orthogonal to the absolute and some formulas involving a right triangle in hyperbolic geometry. She also continued research of her grandfather’s and father’s research in conformal geometry. By the Liouville theorem, the only conformal transformations are the products of the similitudes (homotheties), inversions, and motions. In the complex case inversions should be replaced by the Ricci transformation. P. Calapso proved that the product of two Ricci transformations is a Ricci transformation, and that a conformal transformations preserves curvature lines. M. T. Calapso considered conformal transformations and found some special triples of surfaces associated with such transformations. She also proved the existence of congruences of an -dimensional elliptic space that generalize normal isotropic congruences. The focal surfaces of such congruences are isometric to a Euclidean plane. If these focal surfaces are curves, then two middle surfaces of are -surfaces with vanishing Gaussian curvature, and they are of Ribaucour’s type. M. T. Calapso studied also the geographic correspondence between surfaces for which the tangent planes at corresponding points are parallel. In particular, she found a closed form representation of all surfaces that are in a geographic correspondence with a given surface referred to its asymptotic lines. Maria Teresa Calapso is an Ordinary Member of the Accademia Peloritana di Messina since 1976 and an Honorary Member of the Balkan Society of Geometers since 1998. She is an Editor of the journal Rendiconti del Seminario Matematico di Messina. Maria Teresa Calapso has presented lectures at numerous national and international conferences throughout the world. She has organized more than 50 national and international conferences including eight international congresses in Messina. We, friends and colleagues of Maria Teresa Calapso, whole-heartedly wish her a plenty of health, happiness and further success in her research.